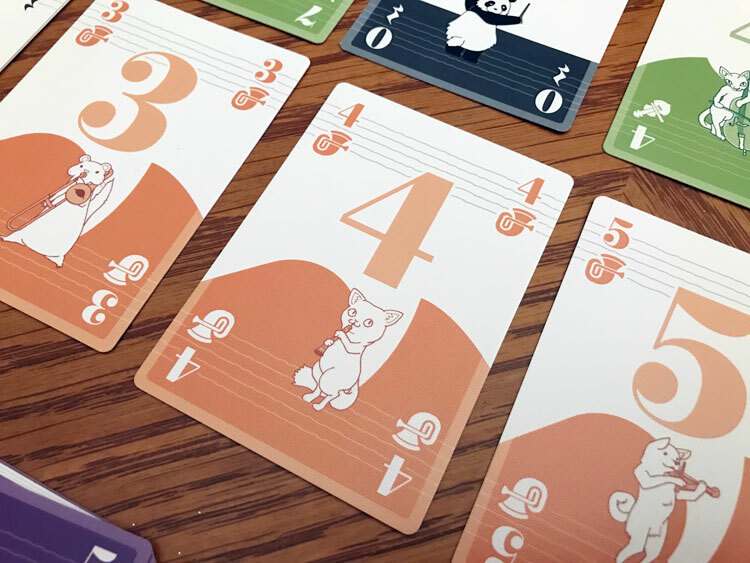 We review Okey Dokey, a new cooperative card game published by Tasty Minstrel Games. Okey Dokey brings in memories of the Spiel des Jahres nominated card game The Game. In 2015, there was an unexpected nominee to the Spiel des Jahres. The game was called… The Game. While it wasn’t on any of our radars before, we gave it a try and I found it to be a decent game. 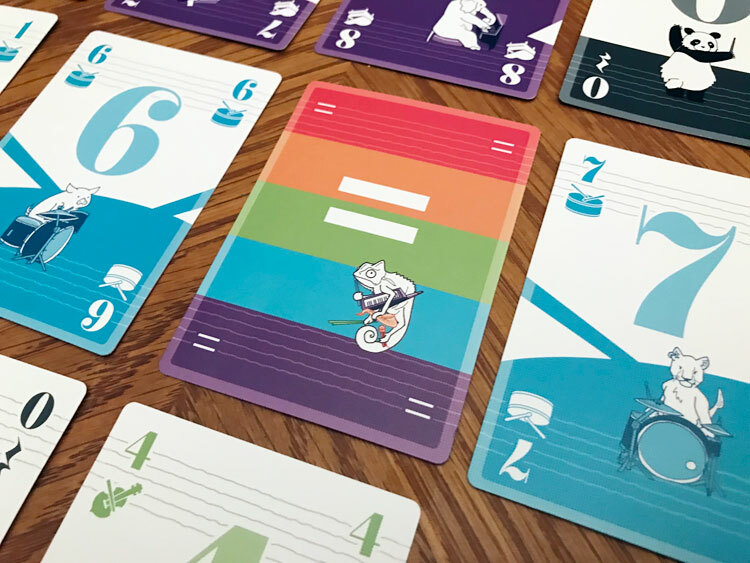 Okey Dokey has a similar feel to The Game, but takes a different spin on how the cards are played. Is it for the better? Let’s get to the review to find out. 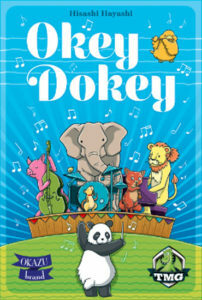 Okey Dokey is a cooperative card game for 1-5 players to play in 16-32 minutes. In my experience, the game plays well with all player counts. While it seems like an easy task, getting a row of cards to line up in ascending order is harder than it seems. First, you can only place the cards in ascending order in the rows and you must complete each column before you move on to the next one. Another hindrance is that you must play a reset card in each column and only one in each column. These reset cards have a value of zero and allow you to start over again in a row. You also have the ability to exchange up to two cards from the draw pile when you reset a row. The last thing is that you can’t communicate openly with your team about what’s in your hand. 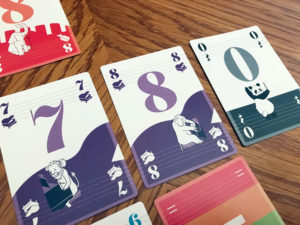 At the start of the game, you decide how many “equal cards” will be in the deck. These cards allow you to avoid playing a musician or reset card by having the card equal the value of the card to its left. You either place a musician, equal cards, or a reset card into a row and if you can’t, you lose the game. You win the game by placing 50 cards in the grid. The more equal cards included in the deck make the game easier. They just allow you to push your problems down the road a little bit longer. I’m always amazed at what type of experience you can get just out of a simple set of cards. It doesn’t need fancy bits to deliver a solid experience. Despite its name, Okey Dokey does just that. My first experience with this game was a solo affair as I attempted to learn the game. After my first game, I played again, again, and again until I had won the game. The game just grabbed me and wouldn’t let go until I was able to defeat it. The rules are not complicated, but the managing of your hand and thinking a few columns ahead is required to win this game on your own. It was one of the best solo games I have played. I found the hand management puzzle to be interesting and enjoyed playing over and over again even as I lost. The rules around how you play cards make each of the decisions impactful. But this experience was only when I had complete control over all the information, when I played with others it was gone. The reset zero cards allow you to get out of trouble if necessary, but only being able to use two each row means you need to use them appropriately. Fortunately, the game experience changes, but not in a negative way. Much like in The Game, you can’t tell the other players exactly what you have and you must work around the restrictions. Trying to communicate what color you can play or only play without revealing too much is actually quite fun. There are times where you won’t be able to make a great play and you have to skip a lot of numbers in a row because it’s your only option. This is where the great experience of the game comes from. There is a sense of dread the whole group feels when a player has to play something that puts your team in a bind for the next few rounds. However, everyone expounds jubilation when you are able to right the ship. My biggest complaint about the game is sometimes the deck is just stacked against you. No amount communication will get you to the goal of playing 50 cards. The game does have a nice rule that allows you to throw cards back into the deck and draw new ones. This mitigates some of this, but not enough to make every game winnable. Okey Dokey is the evolution of what The Game brought to the gaming world just a few years ago. The puzzle presented of placing the card values in ascending order by each vibrant color is interesting and difficult. It plays well with all players counts and while the experience is different from solo to group play, both are still very enjoyable. 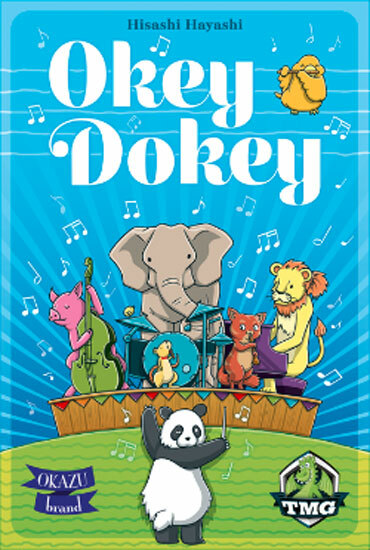 Okey Dokey is a great game to bring to social gatherings where you can play games quickly and watch as people struggle to communicate the cards in their hand. It is one I will be keeping in my collection for a long time. 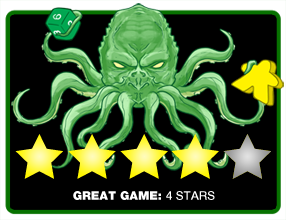 Final Score: 4 Stars – A well-designed card game that plays great solo and with others that requires great communication even though it’s not allowed.